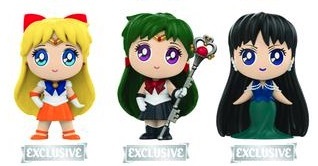 Shrinking the stars of Sailor Moon to a convenient travel size, the first release of Funko Sailor Moon Mystery Minis offers most of the Sailor Soldiers, and multiple exclusives. 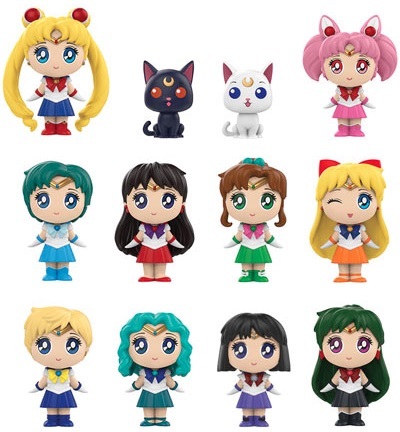 Highlighting many of the subjects from Funko Pop Sailor Moon, including all the primary senshi and several of the cats, the blind-box product keeps things interesting. At its core, Funko Sailor Moon Mystery Minis is a 12-figure set. However, those 12 figures change by the format, and there are three different layouts, bringing collectors at least 21 choices. Plus, each sealed box contains one random figure, so you don't know what you will end up with. Buy Sailor Moon Mystery Minis Boxes on Entertainment Earth. In addition to the 12 main vinyls, fans must visit GameStop to track down Mistress 9, Sailor Pluto with staff, and posed Sailor Venus. Meanwhile, the figures for Diana (the cat), posed Sailor Chibi Moon, and Super Sailor Moon are only in Hot Topic boxes. The Specialty Series release offers three more exclusives. 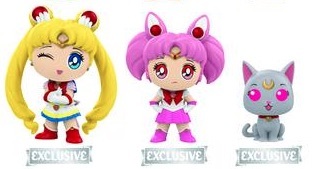 The complete Funko Sailor Moon Mystery Minis odds and rarity info will be added as soon as possible, so check back. Sailor Moon Series Funko Pop Vinyl Figures lot with Hot Topic, NYCC exclusives.